We Belong To It, a short film featuring Ray Mears exploring Ontario by canoe, recently won top honours in the Canoeing category at the 10th annual Reel Paddling Film Festival 2015. Created by Goh Iromoto, this wonderful film follows Ray as he journeys into the heart of Wabakimi Provincial Park in northern Ontario, Canada. We Belong To It explores the visual beauty of the Boreal forest landscape, and delves into Ray’s reflections on nature, and his mastered skill set in bushcraft. 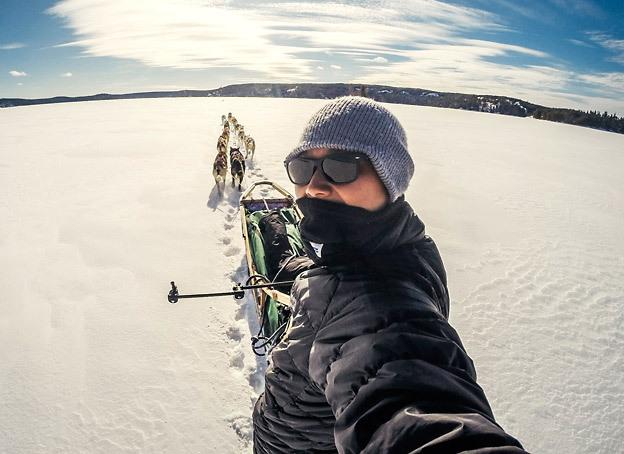 Film-maker Goh Iromoto has created a number of works based on wilderness themes, including PULL, a short documentary on crossing the cold Northern Canadian landscape by dog sled. To see more of Goh’s work, please visit his website here. The Reel Paddling Film Festival showcases the world’s best paddling films to audiences in Canada, the United States and around the world, with the aim of inspiring more people to explore rivers, lakes and oceans, and embrace the lifestyle and appreciate the heritage of the wild places we paddle. For full details of the RPFF World Tour schedule, please click here. For your chance to join Ray on a canoeing expedition in Wabakimi Provincial Park later this year, please take a look at this exclusive competition, hosted by Ontario Tourism. This entry was posted in Ray Mears and tagged Canada, Canoeing, dates, Goh Iromoto, Ontario, Ray Mears, Reel Paddling Film Festival, RPFF, Wabakimi, We Belong To It, World Tour on February 24, 2015 by Woodlore Limited. What an inspiration to us all! This needs to be televised! Surely Ray should receive an MBE! The true meaning of Bushcraft. That’s just beautiful, very inspiring. Thank you Ray. Ontario, Realm of wild nature! Another great video of Ray!! Excellent film! Ray Mears is holding a gun to my head, telling me to get a canoe.